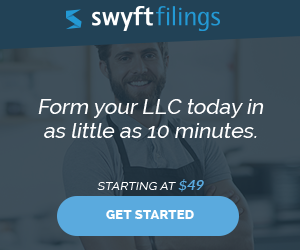 The following article is a brief overview of single member LLCs, how you form one, various tax issues, and asset protection information specific to SMLLCs. After each section, there will be links (with more added over time) to additional in-depth information on each sub-topic. Feel free to ask questions in the comment section. Note that this website does NOT give personalized legal advice, I’m not your lawyer, and so you should not post any private information. What is a Single Member LLC and How Do I Form One? Quite simply, a single member llc (also called SMLLC for ease of use) is a limited liability company with a single member. Every state currently permits LLCs to be formed with only a single member. Click for LLC requirements in each state. There is no special form used to create an SMLLC. You simply file Articles of Organization and create an entity with only a single member. Some states require that all initial members of an LLC are listed on a document filed with the state when the LLC is formed, others do not. In the case of the SMLLC, then the sole member will be disclosed to the state. The level of disclosure required by members of an LLC is determined by state law. For example, most states require the LLC to file annual reports listing all the members (and pay a filing fee), while other states require no annual filings. There are a few states that require SMLLCs to have written operating agreements even when they don’t require multi-member LLCs to do so. NOTE: The following is a VERY general overview of taxation of single member LLCs. Your particular tax situation will require, of course, more in-depth information. At the very least, you should use reliable small business accounting software and learn how to properly enter your data into it. This will give you solid information for you and and your accountant and/or tax advisor to work from. The purpose of the information below is to give you an overview so you at least know the landscape and can ask intelligent questions. When an SMLLC has not elected to be taxed as a corporation, the IRS “disregards” the LLC as a separate taxable entity. Instead, the IRS treats the single member as the taxpayer. Note: disregarded tax status is NOT the same as “veil piercing”, when an LLC is found by a court to be fraudulent, and the members held personally liable for the LLC’s debts. It’s a much different concept. Some people read “disregarded tax status” and thinks that means that they will be personally liable for the LLC’s debts. Any profit earned by the LLC will be treated as income to the single member taxpayer and reported on that taxpayer’s regular 1040, under Schedule C.
Any losses will similarly “flow-through” to the taxpayer–and like profits, recorded on Schedule C–and can be used to offset other income earned by the taxpayer. This can come in handy for SMLLC’s started as “side businesses”, when the taxpayer has a day job with taxable salary, and starts a business in addition. The losses from the LLC can offset the taxpayer’s salaried income. In a later article, I will go into more depth of the limits of this deduction and rules for how it is applied. Very generally, the LLC’s profit/loss is calculated by subtracting the LLC’s business expenses from the LLC’s business revenue. Again, very generally, a business expense is one that is “ordinary” and “necessary” to the business. Ordinary means that it is of a magnitude and quality that a reasonable business would use. So, if you have a home-based courier business, and decide to lease a Ferrari and deduct the payments, that’s not “ordinary”, as reasonable courier businesses don’t use Ferraris. Necessary means that the expense is something that is needed for the business to operate. The term sounds more restrictive than it is as applied. Necessary doesn’t mean that the business will fall apart if the expense isn’t incurred–or as the IRS says, “an expense does not have to be indispensable to be considered necessary”. Rather, it means that the expense of the kind that “helpful and appropriate” for your business. When the sole member of a disregarded SMLLC records profit and loss on his/her Schedule C, some might ask whether self-employment taxes are due. Self-employment taxes are commonly known as “payroll taxes”, except that as a self-employed person, you pay both the employee and employer share. These are also known as FICA (Social Security) and Medicare taxes. Some forms of income are subject to payroll/self-employment taxes, and others are not. This is called “characterization” of income. Some forms of income are subject to payroll taxes, others are not. Currently, interest income, capital gains, dividends, rental income are all not subject to self-employment tax (though the new Obamacare regulations have added a special Medicare tax for some of these forms of income). With a disregarded SMLLC, however the income was characterized within the LLC, that is how the income will be characterized on your 1040. For example, if the SMLLC owns a piece of commercial property that is being rented, then the net rental income will flow through to the sole member’s Schedule C. That income will not be subject to self-employment tax because it is characterized as rental income, not as “self-employment” income, even if the owner colloquially refers to him/herself as being a “self-employed” in the commercial property business. The profit from an operating business is generally considered self-employment income UNLESS you can prove that the SMLLC’s income is not subject to self-employment taxes (interest, dividends, rent, and so forth). The sole member of an SMLLC is not an employee of the LLC and therefore is not required to withhold taxes from draws of LLC profits or guaranteed payments. As the sole member of an LLC, you should not pay yourself as a W-2 employee. However, all taxpayers are subject to the requirement of making quarterly estimated tax payments. Taxpayers that receive a W-2 salary have their employer withhold taxes from each paycheck and report and pay quarterly estimated taxes for them. Many taxpayers whose only income are wages subject to withholding don’t realize they have been paying quarterly estimated taxes for as long as they have been working. Well, until they earn income where taxes were NOT withheld…then they get a big tax bill in April of the following year and might get hit for penalty/interest for underpaid quarterly estimated taxes. As the sole member of your LLC, you are responsible for quarterly estimated tax payments on the amount of profit your LLC will earn this year. Some of you are thinking “but I have no idea how much profit I’ll make this year–this is unfair”. To ease this concern, the IRS has certain “safe harbor” rules for quarterly estimated taxes. This safe harbor is based on last year’s income tax. Quality small business accounting software and personal tax software will help you greatly in compliance. When an employee expenses personal funds for business expenses of his/her employer, and is not reimbursed by the employer, the employee is allowed to deduct those on Schedule A as “Unreimbursed Employee Expenses”. See http://www.irs.gov/publications/p529/ar02.html. Unfortunately, these deductions have a 2% of AGI floor on them. Meaning that if your AGI is $40,000/yr, only the amount above 2% of $40,000 — $800 — is deductible. The first $800–the “floor”–is not deductible. However, as the sole member of an SMLLC, you are not an employee. Therefore, all ordinary and necessary business expenses are fully deductible regardless of out of whose funds they are paid. While this is helpful, do not get into the habit of mixing personal and business funds. For one, it might make your business look more like a non-deductible hobby…especially in the early years if your business is losing money. Secondly, mixing personal and business funds–called “co-mingling”–can put your LLC’s limited liability at risk. Finally, it complicates accounting. Therefore, you should open a separate business account, seed it with a loan or capital from the member or a lender, and deposit all business revenue in that account and pay all business expenses from that account. Use quality small business accounting software to track all transactions and your life will be much easier at tax time. A member of a SMLLC is not required to be covered by worker’s compensation by the LLC, because that member is not an employee. If your SMLLC has other employees, of course, they must be covered per state law. Furthermore, the LLC is not required to pay Federal Unemployment Tax –currently 6.2% of the first $7,000 in wages–for the sole member. As above, if the LLC has employees (not counting the sole member), then the LLC must pay FUTA tax for those employees. corporation. The term refers to what happens when, in a court of law, a business’s status as a separate entity [and the limited liability protection it provides for its owner(s)] is ignored. The court rejects the notion that the business is clearly separate from its owner(s), and instead the owner(s) is held personally liable for business debts. These “debts” can be anything the business owes, from legal judgments to loans. Having your corporate veil pierced can be a devastating event for both you and your business. Epic problems that were once confined to your work life can infiltrate your personal life and have a huge impact. While operating as a single member LLC is not alone sufficient cause for a court to disregard your business as a separate entity, there is anecdotal evidence that single member LLCs are more likely than multi-member corporations to have their veil pierced by creditor claims. TurboTax Online now offers a service for filing the tax returns of single member limited liability company owners. It’s called TurboTax Online Home & Business. As of 2012, pricing starts at $49.95 for federal returns. State returns are additional. Efile is included for free as is their service which helps you identify over 350 business expense deductions you’ve probably overlooked. TurboTax’s interactive question and answer format guides you through the tax return and helps you identify potential deductions. Instead of trying to memorize J.K. Lasser’s tax encyclopedia (which is a good resource), Turbotax asks you simple questions like “Did you sell a home during 2012?” and tailors its followup questions based on your answers. Get started with Turbotax Home & Business for your single member LLC. 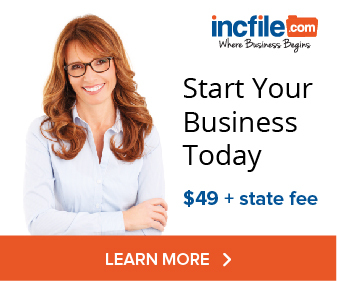 Visit LLC Made Easy’s state by state listing of LLC requirements, including filing fees. Learn about the C corporation’s double tax and how to avoid it with an LLC. What address do I use with an LLC for an Internet Business? And do I need DBAs? Etc. Can a trust be the single member of an llc in Illinois? If so, what are the practical considerations, advantages and disadvantages? are single member llc’s safe and a responsible choice for a small cafe? As a Florida resident what steps must I take to wind up a 6 month dormant single (sole) member LLC? A beauty salon owner that wants to form a Single Member LLC. Add non participating spouse as member?